Red Hook is a tight-knit community of residents dedicated to its well-being. Because of that (or possibly the other way around), historic organizations have rooted themselves here, especially those dedicated to youth education and access to the arts. Enter Dance Theatre Etcetera, host of Dance on the Greenway that alumni have the chance to attend on October 3. DTE’s mission is simple: It “unites artists and community members as co-creators in dynamic cultural activities” and does so through performances, festivals, parades, and performing arts and digital media education programs. DTE f ounder and executive director Martha Bowers established the organization in 1994 with the belief that art can be a medium for social change in Red Hook. She met Greg O’Connell with her idea for a site-specific performance, and from that came a 20+ year partnership between Bowers and the O’Connell Organization – in fact, DTE’s office is in the Red Hook Stores, right above Fairway Market. DTE initially started with large-scale performances and associated youth arts education, all throughout Red Hook. Today it serves multiple NYC schools, including PS 15 and South Brooklyn Community High School in Red Hook, with innovative performance arts and digital media in-school and after-school education programs. Topics include dance, theater, playwriting, hip-hop, documentary filmmaking, and more. DTE also offers community-based programs like the In Transition: Digital Media Program that provides rigorous pre-professional training for youth ages 15-24 and the summer Digital Bootcamp that culminates in the creation of promotional videos for businesses and nonprofits. Annual events and public performances like the upcoming Dance on the Greenway and the summer Red Hook Fest with live music, dancing, kayak rides, and more, expand DTE’s influence in the Red Hook community. 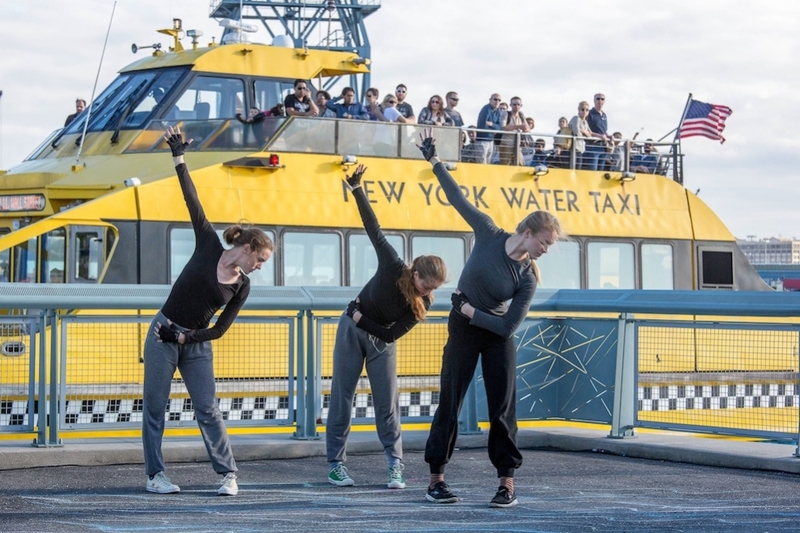 Now in its fourth year, the Dance on the Greenway show features site-specific performances on the IKEA waterfront at Erie Basin Park from four choreographers, two of whom are from Red Hook. So, DTE has an impressive track record of uniting neighbors through art. Beyond the arts, Bowers’ work is entrenched in the community: In the mid-’90s, DTE oversaw the creation of the Red Hook Partners, made of local service providers, businesses, and neighbors that met regularly to coordinate renewal efforts. They were also a founding member of the Red Hook Coalition, helping with recovery efforts after Superstorm Sandy. Check out DTE’s website, and don’t forget to sign up for the October 3 Red Hook Kick-Off!